Developing a website is the first step in establishing a presence on the Internet. However, if no one can find your website the number of visitors and potential clients will be limited. Eighty-Five percent of Internet users use search engines to find a product or service. Thirty-three percent perceive that if a company has a top ranking, they are a leader in their field. What is Internet Marketing? This is the process of utilizing the power of the search engines to generate new clients. If you believe that the Internet is here to stay, then you need to be on the Internet. When was the last time you used the yellow pages? If you're not using the yellow pages, don't expect your clients to be using them either. Internet marketing is more than just search engines. In today's world, having a website is not enough. Your website needs to properly represent your business. To many of your potential clients, your website will be the first contact they make with you. Making a first impression is the key. 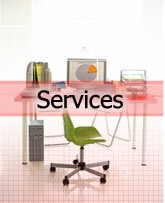 If you have a professionally designed website, you will make the impression that your facility is also professional. With websites, its all about perception. If you have an average facility but your website is high-end, visitors to your website will perceive your facility as being high-end. You can have a state-of-the-art facility, but if your website is second-rate, the chances of someone calling you will be lower because they will associate your business as being second-rate. Please contact us if you would like to see some of our clients results. "Pay-per-click" search engine advertising is a method of advertising your website where you directly pay a search engine provider such as Overture or Google AdWords only when a visitor actually clicks through to your site. This method of advertising is unlike our traditional search engine optimization services, which is based on maintenance fee that you pay to us. Properly setting up a pay-per-click campaign will attract the most relevant visitors to your website and maximize your spending budget. Pay-per-click search engine advertising can give your website a competitive edge, but it can also be very time consuming. You will need to determine what search terms to select, which pay-per-click search engines to use, and if your ads are actually effective. Our pay-per-click management services can take care of all this for you. We have the tools and experience that allow us to manage pay-per-click advertising accounts as efficiently as possible. We will set up the accounts for you, and provide periodic reports as to which ads are bringing in the most visitors and at what cost.